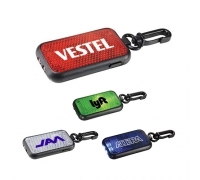 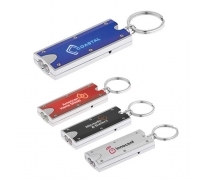 Custom bottle opener keychain flashlights offer multiple benefits for the investment made. 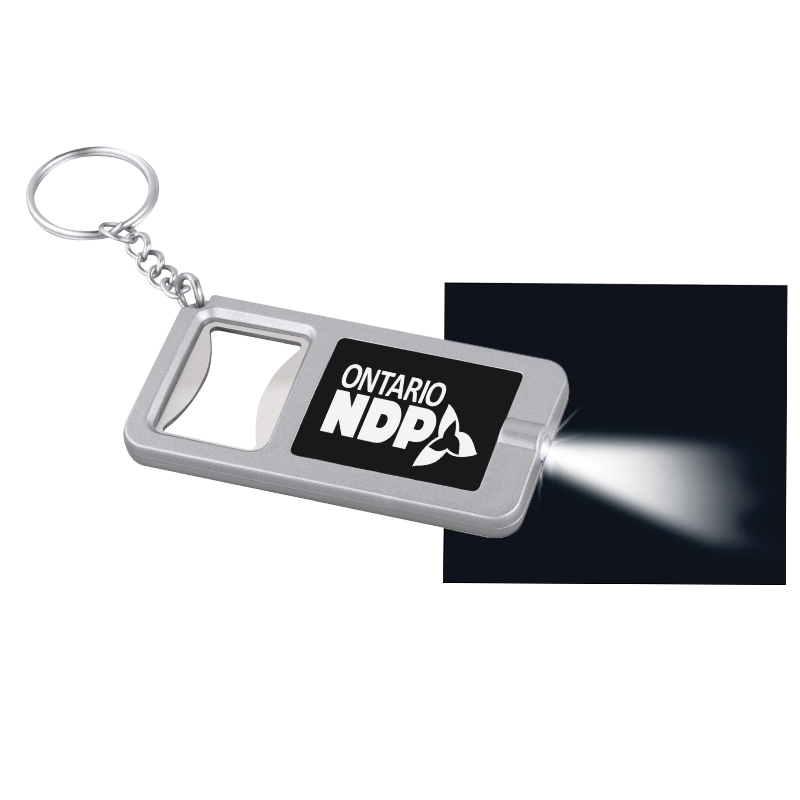 This bottle opener keychain features LED lights, key chain holder, which doubles it up as light source in times of need. 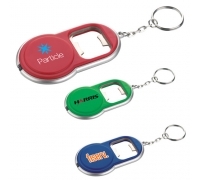 This bottle opener makes a good gift in any season and advertisers can rely on it to improve their brand performance. 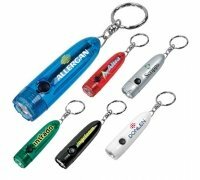 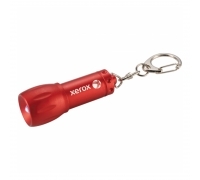 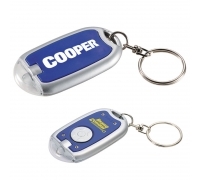 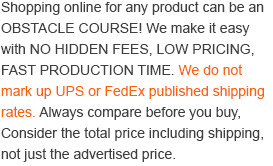 This keychain flashlight comes across as a brand and cost effective business gift, which can be sought by advertisers of all genres.